Seek... It's an action word. God created us to know him intimately and to find true riches when we consider him our greatest treasure and prize. God created us to not just be loved by him, but for us to love him. True love seeks its lover, and God's true love for us has promised that he will respond to our love, but God desires that we show our love by pursuing him also. Yes he first sought us and redeemed us in Christ, apart from that we would have remained lost, but as in all relationships, we too should seek him back. This is what love does. Seek Christ with all of your heart and you will know the most grand treasure possible in this life and joy for all eternity! God is triune in persons, One in nature. Jesus Christ is God (Titus 2:13). But is called the Son of God, by God the Father and the Spirit(Mat 3:17). Meaning while he is completely God, and all the fullness of God dwells in him (Col 2:9-10), those who saw him in human form did not necessarily see all of God. Even though all that God is in essence in Jesus Christ. I hope this makes sense to you. Jesus said God is Spirit and those who worship him must worship him in Spirit and in truth. (Jhn 4:24)He is one person of God, you must not think totally in human terms here. He is God revealed to us in human flesh as the person of God called the Son. When Jesus said, he who sees me sees the Father (Jhn 14:9), I and the Father are one (Jhn 10:30), this does not mean that when one of his disciples looked on him they saw all of God (even though all that God is existed in him, yet veiled. Remember for the time he set aside all his infinite powers as God. Phi 2:6-11). That would be impossible, God is everywhere(Jer 23:24), Omnipresent as we say, and infinite (Isa 40:28) in relation to time and space, which means multidimensional many more times than you and I. Also as sinful man, to look onto the raw and unfiltered face of Holy God, would consume us! (Ex 33:20) Too see all of God you would have to be God himself. You cannot nor will you ever. Eternity will be spent plumbing the depths of Christ to know God more completely! (Rom 11:33) This is an impossibility of a limited created four dimensional being. (Job 38:1-4, 40:1-2) All you can see of God is what he reveals to you for a time and place. 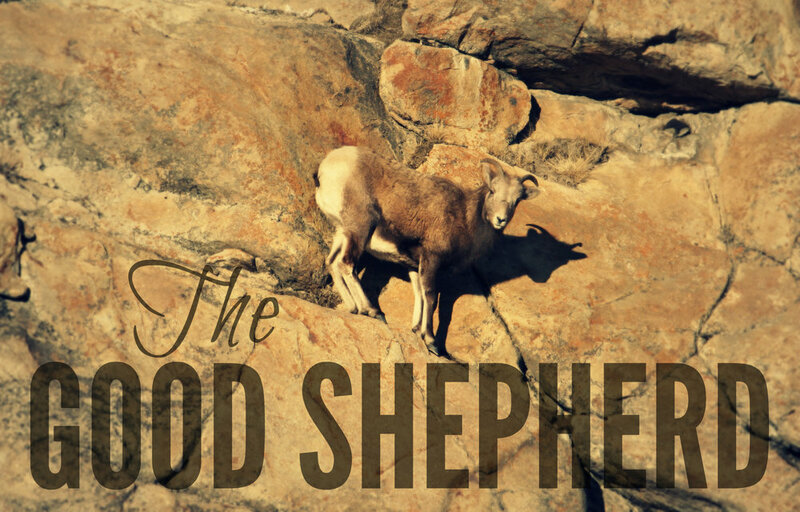 In these last days God has chosen to reveal himself through his Son (Heb 1:2). Who are we to even question anything He does? We are but dust (Gen 3:19). God sees what is going on now and what is going on 10 billion years ago and 10 billion years from today. He sees and controls it all. He is outside of time and space (Job 37:16, Isaiah 46:9). Yet he also fills every corner of time and space, because He is that awesome and big (Jer 23:24, Gen 1:1) . So when you see Jesus, you are seeing God (Heb 1:3) as revealed in human form through the person of God called the Son (Luke 1:32). Jesus is God's Word proceeding out from the Father (Jhn 1:1-4,14, Jhn 16:28), and the Spirit proceeds from the Father and the Son (Jhn 16:7, 14:26) . Jesus is not one "face of God" as in God appearing in various forms, nor is he all of God as in being just a differing name of same person of God, nor is he one of 3 gods. We do not worship 3 gods. We worship one God and Creator Yahweh, God who is "I AM". 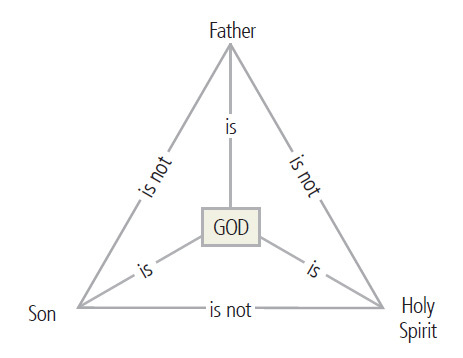 Jesus, the Son is "I AM" (Jhn :58), the Holy Spirit is "I AM" (Acts 5:3-4), and the Father is "I AM" (Ex 3:14), but the Son is not the Father, nor the Father the Spirit, nor the Spirit the Son. Jesus commanded us to baptize in the singular "Name" of the Father, Son and Spirit (Mat 28:19), because our Creator God is triune in personhood, but one in essence. We should not twist the Scriptures to create for us a God that is more comprehensible, this is the greatest source or idolatry known to man, and the basis for many false religions like Islam and Jehovah's witness and many "Apostolic vision based" false teachings. God exists as One (Isaiah 44:6). There is only one Creator God, there are no other gods besides him... and HE has revealed himself as a much more complex being than the human mind can completely understand. He is the one who has to reveal himself and has (Heb 1:2) . This should be expected (Isa 40:13). How can a computer program fully know all about the nature of its programmer? The created things will always have limited ability to grasp their creators. How can clay really know the potter (Isa 64:8)? Only as much as the potter makes the clay able. Same with a robot run on computer code..even if you had the ability to give that code some ability of autonomy and thinking it is still going to be limited, and of less dimensions of reality than you the creator. I want to stay away from using analogies at to how to grasp in your mind the trinity nature of God, because nothing really compares and they all lead to a form of heretical thinking. Some things we cannot know and must simply accept. A God you can completely contain in your own mental box, is not the God who made you, but your own idol version of him. God is perfect and this means perfect in every way. Trust in him, know him and begin your eternity knowing God your creator! He is our one and only Savior! He is the Rock of Ages that followed the people of Israel trough the wilderness sustaining them with miraculous water for life (1 Cor 10:4), revealing that from him alone flows rivers of living water, the Holy Spirit of God. John 7:38 Jesus said, "Whoever believes in me, as Scripture has said, rivers of living water will flow from within them."